arthur+martha: Hellos and goodbyes: Sing me to Sleep. Hellos and goodbyes: Sing me to Sleep. Yesterday was a sad farewell to our wonderful group at The Booth Centre (Resource centre for homeless people in Manchester) working on the project Sing me to Sleep. 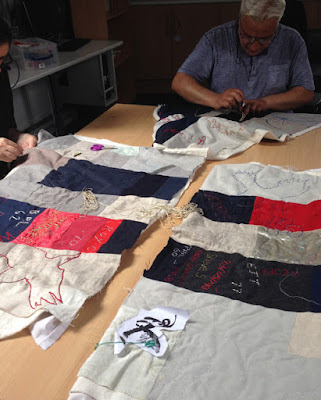 The group as normal split into two, one working with me embroidering the quilt, one working with Phil on poems. A place of nothing, or less. 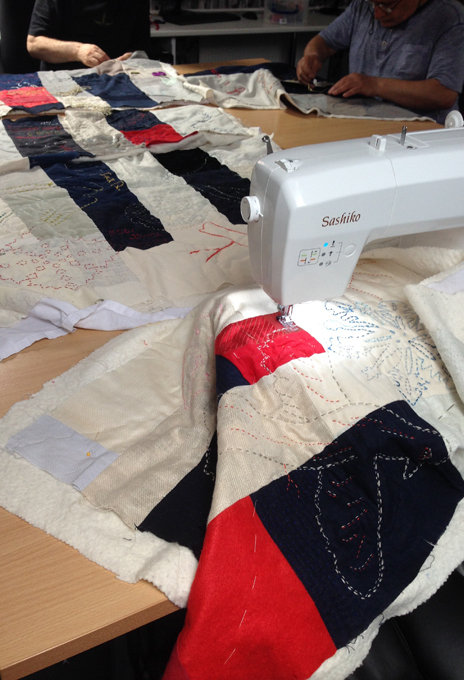 Today and tomorrow we will be based at The Wellspring resource centre in Stockport, hand stitching more birds and the names of participants. Lovely to work with some familiar faces today, and wonderful to meet and get contributions from new people. Slowly but surely we get closer to our exhibition opening in Lithuania. 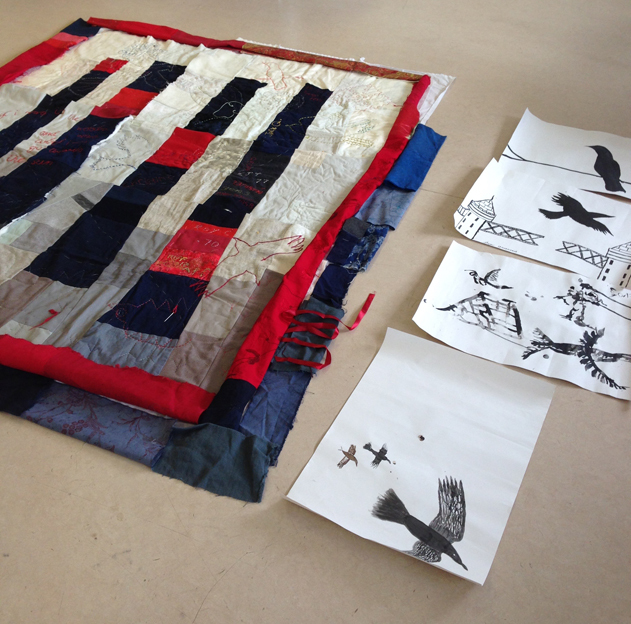 Look forwards to meeting you here in Vilnius with "Sing me to Sleep" quilt.